The last weekend in April means it’s time to rally to the river once again. 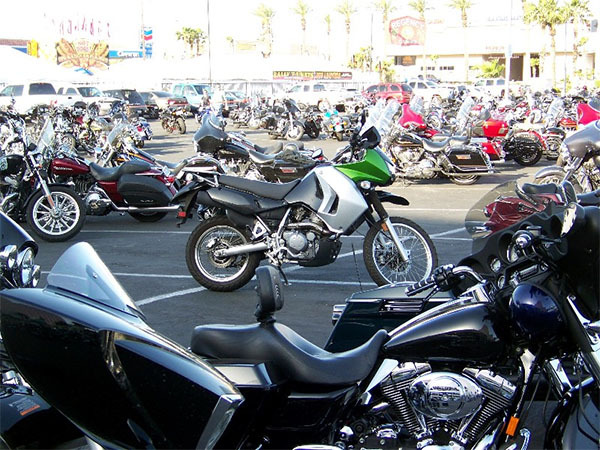 For five days, bikes of every shape and size come trickling into the little town of Laughlin, NV, all the while the echo of engines building steadily into a rumble of good vibrations. 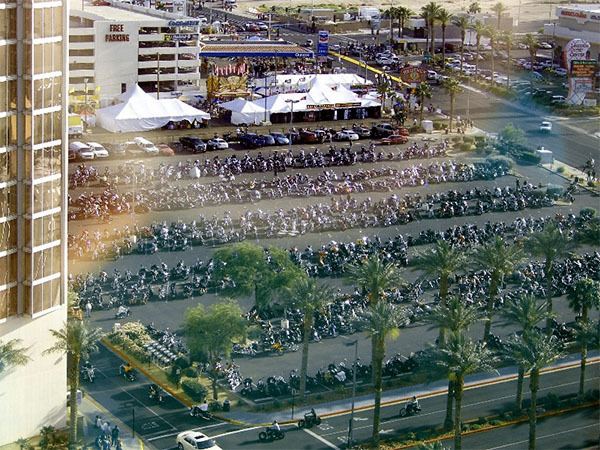 Yep, it’s the annual Laughlin River Run, possibly the biggest single bike rally in the western US. 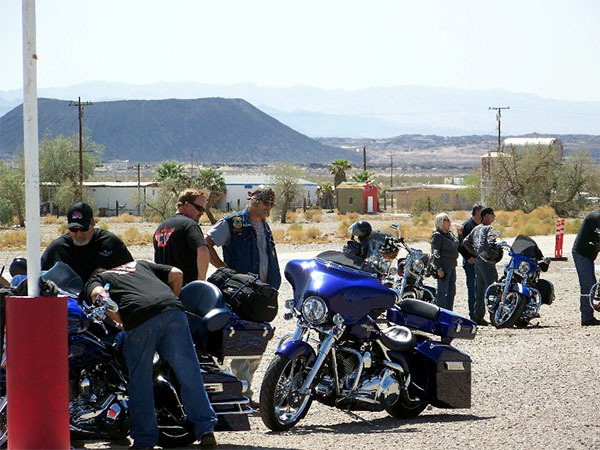 The population of this little casino town at the southernmost tip of Nevada grows by as much as tenfold, transforming the normally quiet desert community into a refuge for two-wheeler fanatics. Now, the overwhelming majority of the riders at this rally are the cruisers, of course. And with this sometimes-rowdy crowd (e.g., the 2002 River Run Riot), “Made in America” is a mantra that applies for motorcycles as much as anything. My enduro doesn't exaclty fit in with these Harley dudes. That said, look a little closer and you will see that every other sect of the biker community is represented to some degree: from the crotch-rocket crowd to old-timers on touring bikes, all types of folks are found here. As for me, I’m a member of the few, the outnumbered, the thumper-jumpers, also known as the dual-sport riders. To quote Clark Griswold, “Why aren’t we flying? Because getting there is half the fun!” That thought runs through my head all the way to and from the river as I pass or am passed by guys trailering their bikes the whole way. But what kind of movie would Vacation have been had the Griswolds flown to Walley World instead of loading into the Family Truckster and hitting the open road? Later on I’ll mention a couple different routes I’ve taken over the years, as well as some of the few-and-far-between fuel stops along the way. Also there are some—uh—interesting sights to take in along the way. And once you arrive at the rally, there’s plenty to do in town as well as some fun side-rides to take. One thing I should mention is that you do need to reserve your accommodations well in advance. Most guys book rooms at one of the nine casinos in town. Room rates—normally about 50 bucks any other time of year—typically triple (or more) for the weekend of the Run, and sometimes they do sell out. There are other options, such as a motel room in Bullhead city on the other side of the river, or 26 miles to the south in Needles, CA. Some guys even camp. But if you want to be in the thick of it, I’d recommend making reservations no later than February. Excuse me miss, do you have any rooms available? 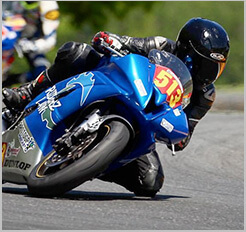 One tip I can’t stress enough is this: At all costs, try to avoid late-afternoon riding! 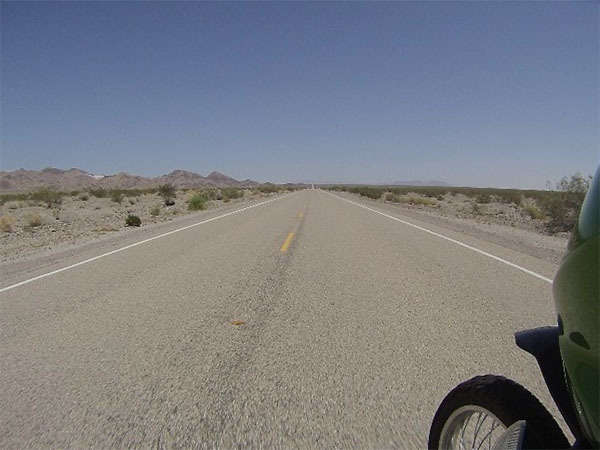 Even though it’s only April, temperatures in the Mojave Desert (which accounts for a good portion of the ride) commonly get into the 100s. Take it from me; watch your departure time! My dual-sport, in a sea of cruisers. One year I made the mistake of getting a late start leaving Laughlin—like about noon. First I baked under the midday Mojave sun for about 90 miles, sunscreen and dripping sweat stinging my eyes. Then by the time I reached the stretch of Twenty-nine Palms Highway out by the windmills north of Whitewater, the wind had its way with me in a truly terrifying way. It’s one thing when you’re straddling a 1,000-pound hog plowing down the highway, but my bike weighs 400 pounds; combine that with a decent downhill grade, a strong headwind, and random gusts blasting you from the side, and that’s a recipe for speed wobbles and white knuckles—not my idea of a good time! To top it off, I rode the final 40 miles staring into a blinding setting sun. So—yeah—I’d highly encourage you to get an early start whenever possible.